By pointing to “the world’s hopeful expectation” for Henry Wriothesley, the poet was consciously and deliberately proclaiming him as the long-hoped-for successor to Elizabeth, who was adamant in refusing to name anyone to follow her on the throne. “Shakespeare” had carefully selected those words, both to address the young earl directly and to publicly advertise this solution to the nation’s crisis. He was voicing his own hope for Southampton to be named the future Henry IX of England. 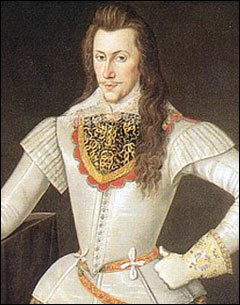 Yes — and this same “Shakespeare” – Edward de Vere, Earl of Oxford – was so concerned about the crisis that he used the launch of his new pen name to voice his own “hopeful expectation” for Southampton as a prince. Here was Oxford’s answer to avoiding civil war over the crown; to preventing a foreigner from gaining the throne; and to finally ending the inherent danger to England caused by the Virgin Queen’s silence. Hath proudly flowed in vanity till now. In my view, Oxford dearly hoped that in the future Henry Wriothesley would use similar words, expressing similar sentiments, about “the tide of blood” that flowed in him.